Yes, we were off to Iceland again, admittedly it had been around 11 years since we were last there. However, this time we headed there in March instead of May, longing to catch those elusive Northern Lights. Gary had wanted to return for years as he had loved the scenery and the ease of the driving. Bearing in mind our previous trip was in May and the threat of snow completely obscuring the road wasn’t really an issue. The fact that we never saw darkness was what we found quite bizarre. In 2007, while we based ourselves in Reykjavik, we toured the Golden Circle, dipped in the Blue Lagoon, took a whale watching boat trip and tasted a few Iceland’s local delicacies. Now fast forward to 2018, and we are road trippin’ the Ring Road for 12 days. 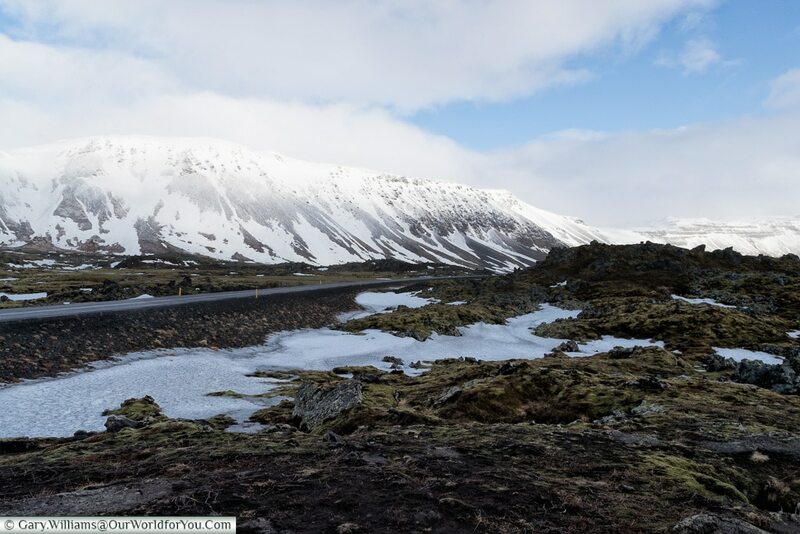 Here are just a few of our inspirations that lured us back, so, with our thermals packed and fingers crossed for the Aurora Borealis, we embark on an Icelandic road trip. Aurora Borealis: So the timing of this trip, the duration and the route were all for one thing really. Those Northern Lights. 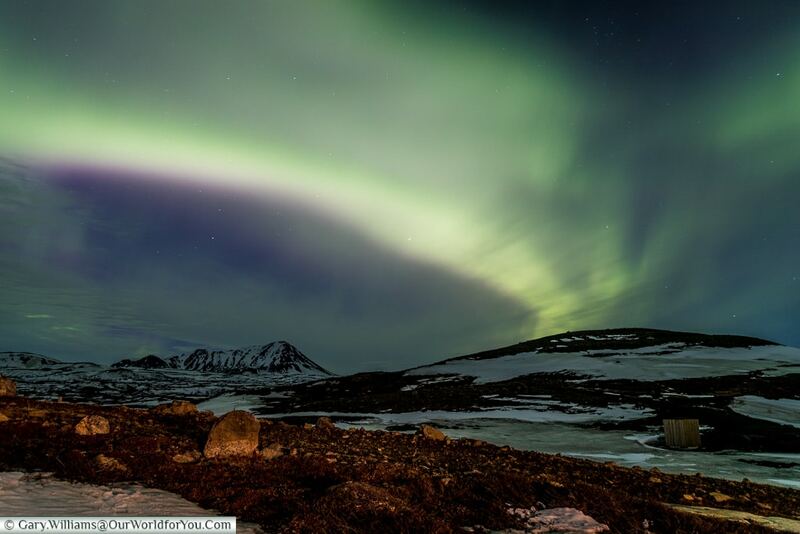 However, we have to be realistic, nature can be cruel so while we’re doing everything we can to capture the natural spectacle of the Aurora Borealis, there is still a chance we my not see them. Ok, so this does go without saying really, however, as we only visited Reykjavik and the Golden Circle in 2007, there is so much more for us to see. 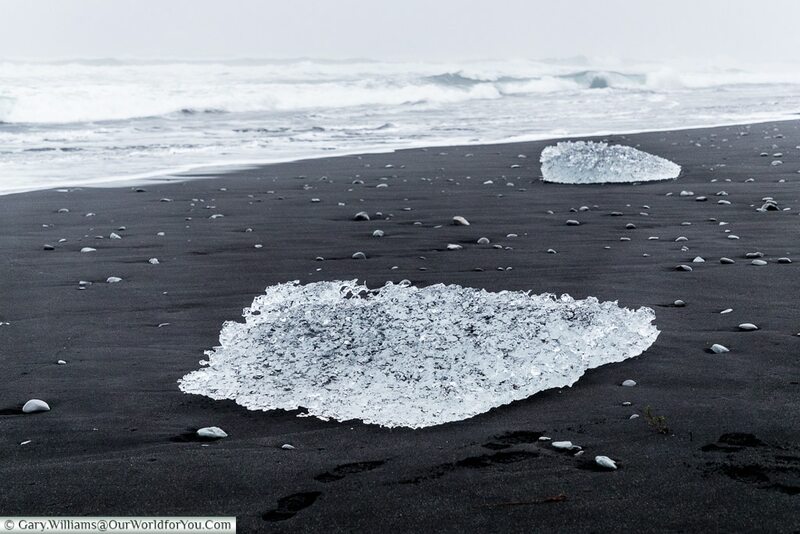 Glaciers: We’re particularly looking forward to seeing glaciers; and heading to Diamond Beach to see the incredible chunks of ice big and small, that lay glistening on the black sand. 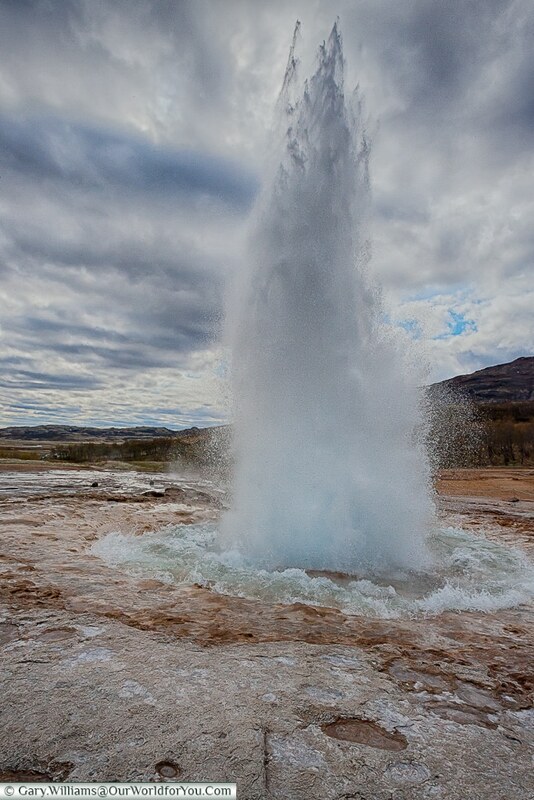 Geysers & Waterfalls: We have to revisit the spouting geysers, this was quite a highlight last time, along with the tall gushing waterfalls. Volcanoes & craters: Well, Iceland does appear to have its fair share of them for such a small country. 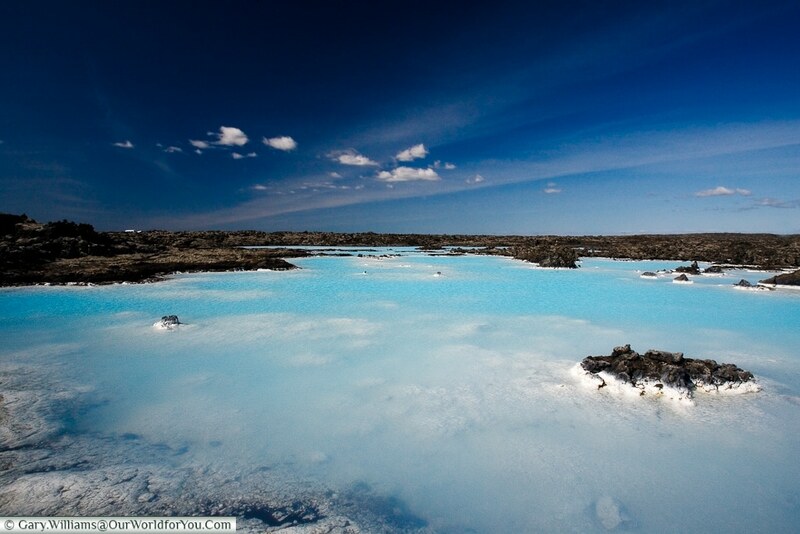 As long as they keep their bubbling under wraps, we’ll be ok.
Natural Features: There is so much to see in Iceland’s diverse landscape that makes you feel like you have entered another world, lava rocks, geothermal mud pools, icebergs and fjords. 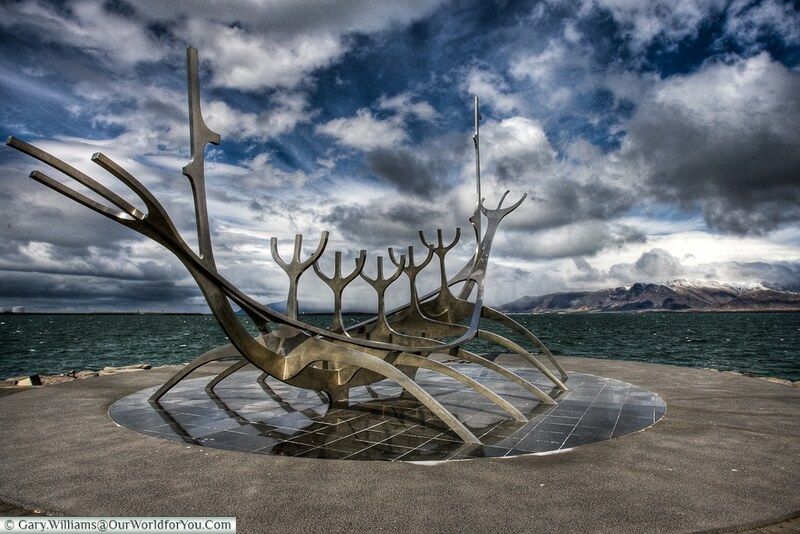 Viking Heritage: Iceland is quite synonymous with its Viking and Norsemen background; however, it also has a strong connection with the Scottish and the Irish who also settled here. 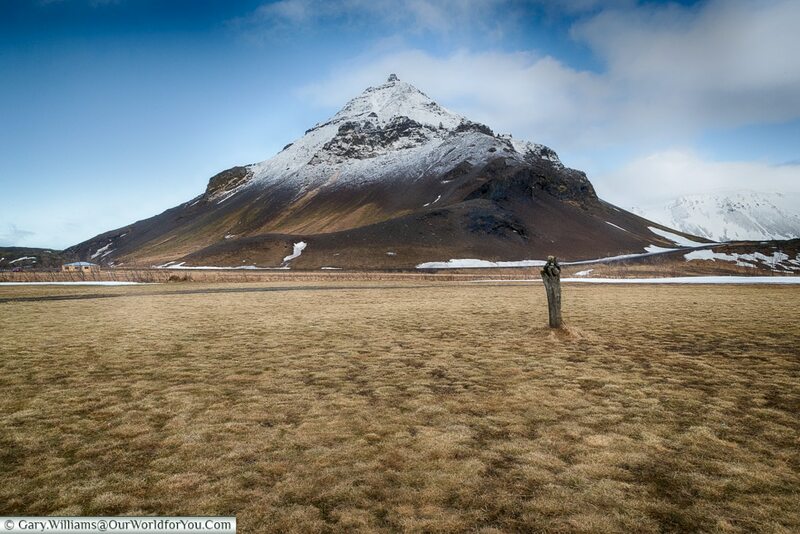 It must have been a harsh country to survive in, areas of Iceland today are incredibly remote, it’s almost unimaginable how the climate would have dictated their lives. 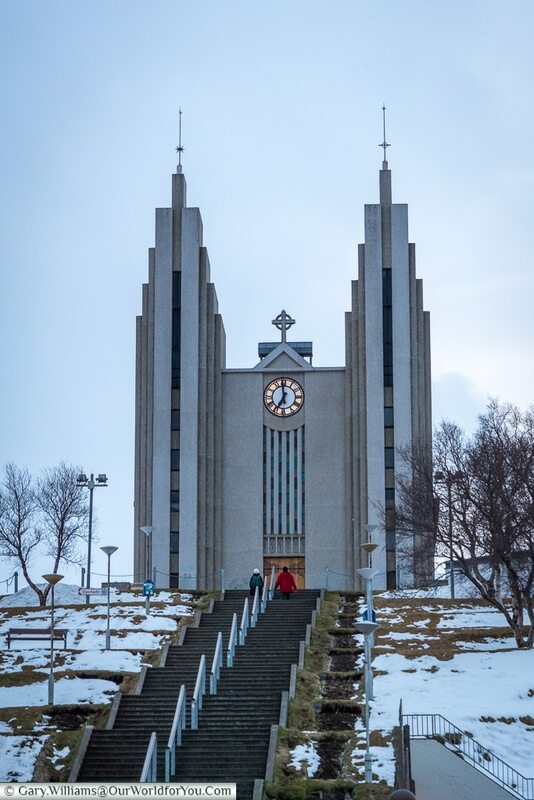 Iceland’s Second City: During the trip, we will be spending two nights in Akureyri, Iceland’s second largest town. I’m looking forward to exploring this colourful fishing town, its museums and Lutheran church perched high above the town. 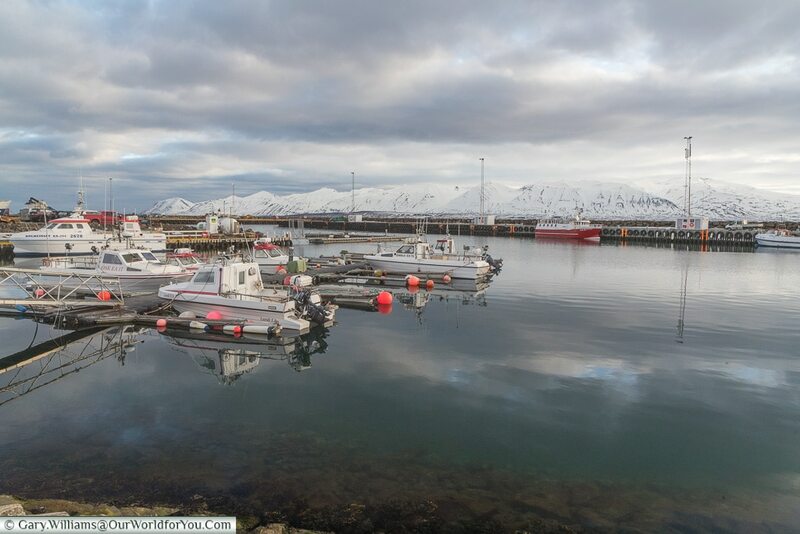 Working Harbours: As Iceland’s roots are very firmly within the fishing industry, the bustling working harbours will be impressive to see. 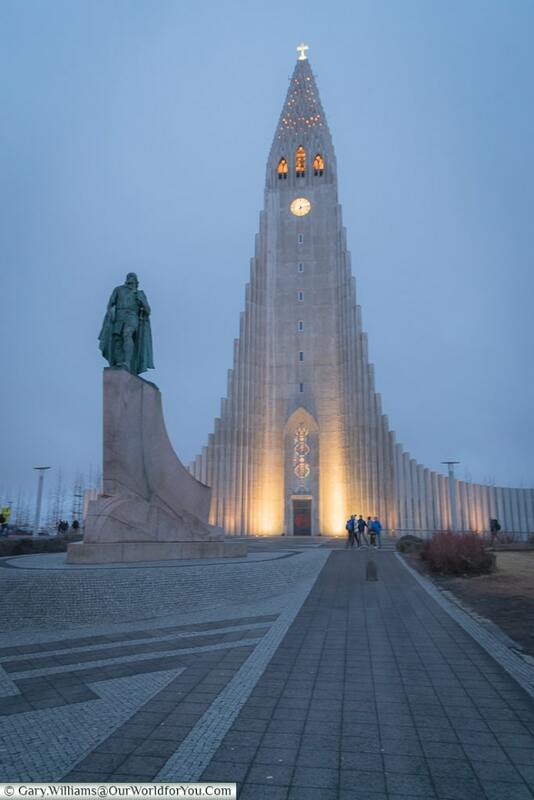 Hallgrímskirkja church: A visit to the unique Hallgrímskirkja church, overlooking Reykjavik city is to be done, along with a trip to the top of its 73-metre tower, to catch the colourful rooftops of the buildings below. Well, Gary and I do like to try local delicacies, and during our short stay back in 2007, we did manage to tick a few boxes. One, to this day I am still a bit ashamed of, and that was puffin (lundi), I can only apologise. What will tempt our taste buds in 2018? 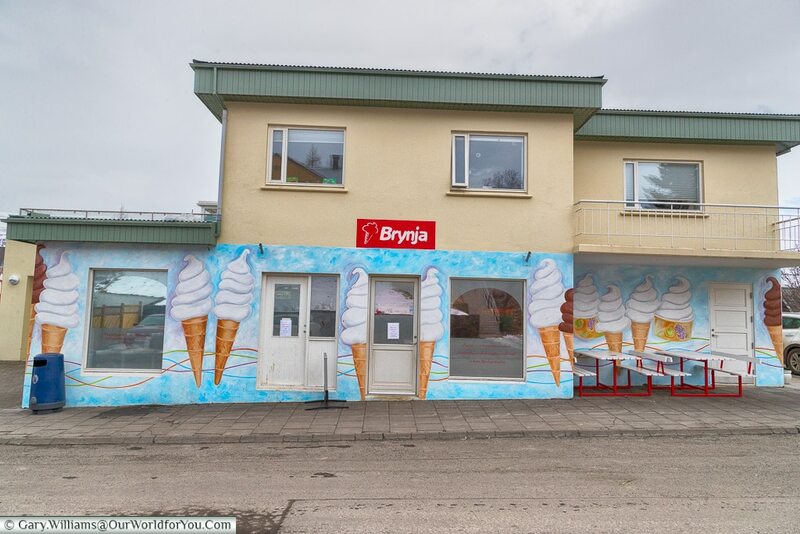 I’ve heard there is a tasty ice cream parlour in Akureyri called Brynja, I’m never one to turn down an ice cream, even if the outside temperature is below freezing. Lo-Alcohol: I think we’ll probably be avoiding the local tipple of brennivín, which is made from distilled potatoes. Most evenings we’ll be tracking down the Northern Lights, so coffee it is then. Does the landscape tempt you? 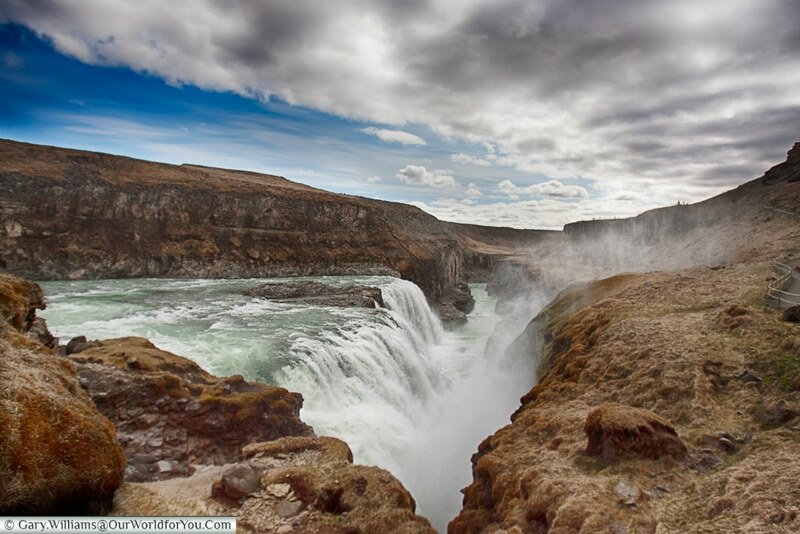 If you love a waterfall, you’ll love Iceland. It is a country to explore & discover, with something new every day. Why not start you trip by checking out Booking.Com? 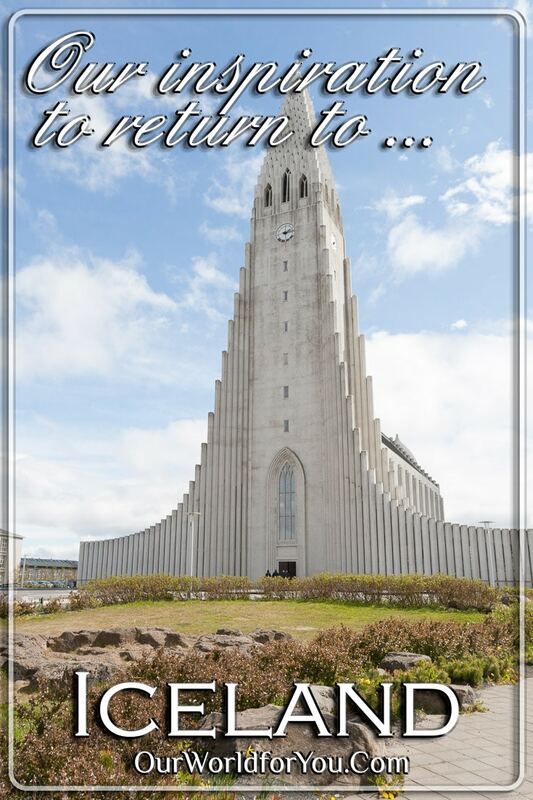 Toured around Iceland’s Golden Circle or Ring Road, do you have any experiences that you’d like to share? Each journey starts with an inspiration – what makes us want to embark on our adventures?